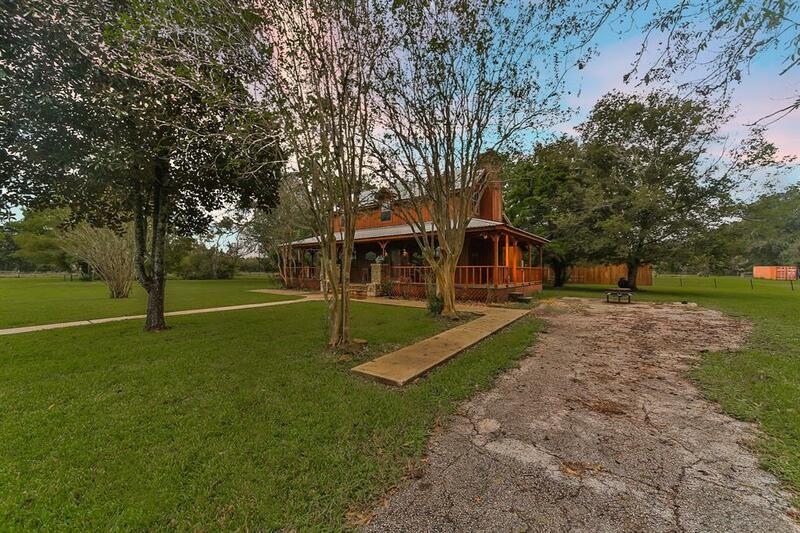 14614 County Road 820, Rosharon, TX 77583 (MLS #28780731) :: TEXdot Realtors, Inc. 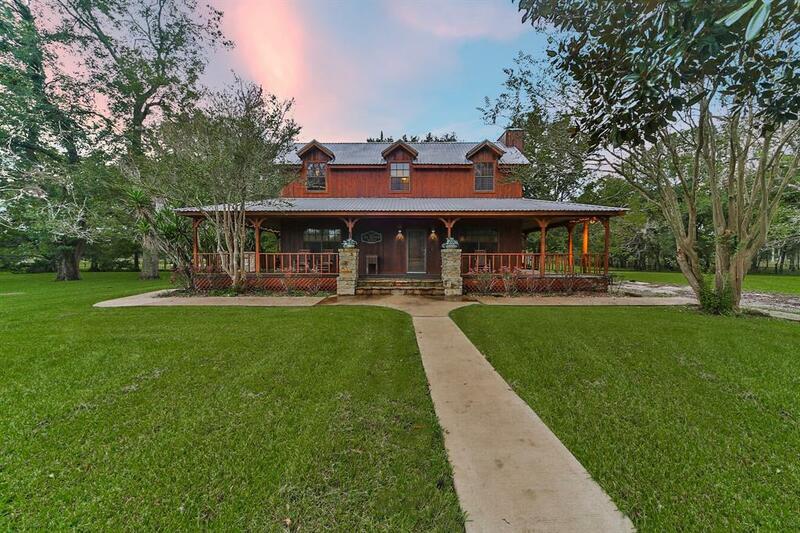 Escape to the quiet tranquility of the countryside and settle in to this beautiful home nestled on 22+ unrestricted acres of sprawling green pastures and wooded terrain. 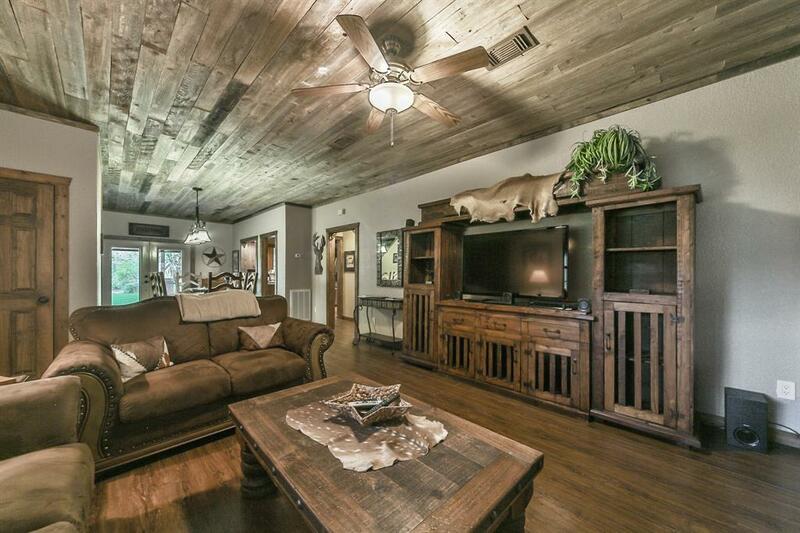 Whether you are looking to use this property for vacationing, hunting, weekend getaways, or your primary residence, you wont be disappointed with all that is has to offer. Renovated in 2015, this country home features a galvanized metal roof, wood burning fireplace with stone hearth, granite countertops throughout, and a private first floor master suite. The spacious wrap around deck is perfect for outdoor entertaining or enjoying unobstructed views of breathtaking Texas sunsets. Create gourmet cuisines in the kitchen featuring stainless steel appliances, a gas cooktop, and breakfast bar. 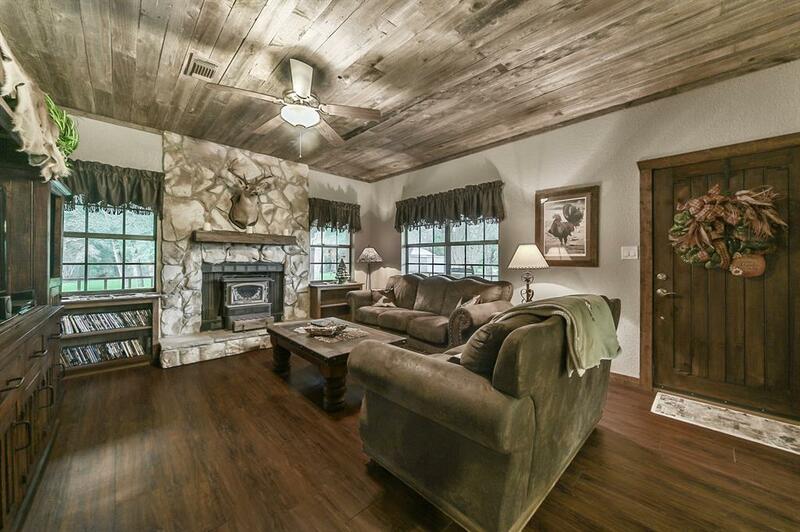 Property is livestock-friendly with 2 wells, a barn, aerobic septic system, and 2 ponds. This countryside retreat is everything youve been dreaming of.